in your hot little hands it is time for an inspirational hop from the Design Team. 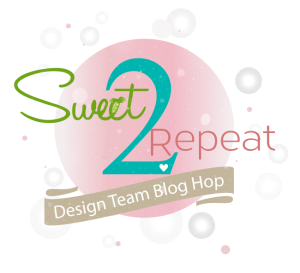 I am having a little popcorn fun with this easy peasy CAS card I made for this hop. I used the SugarCut - Popcorn Treat Box to cut half of one side and cut off the flaps. I lined it up at the top of my card like it is pouring out onto the card and cut off the excess. I also used the die to cut out the Pop Corn words three times, layer them and adhere them to the box front. Then I cut out the popcorn with the same die. I stamped my sentiment using What's Poppin'? then popped up my box and popcorn for a little dimension. 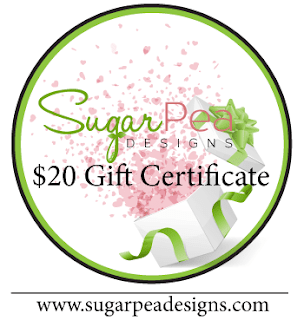 for a chance to win a SugarPea Designs $20 Gift Certificate. What a fun CAS card!!! Love it! This popcorn card is great. 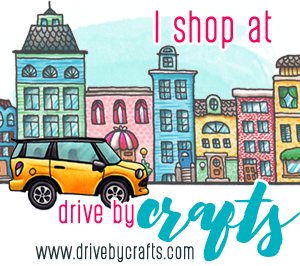 I could see using it to make a gift card hold or movie ticket gift holder. Thank you for the inspiration. This card just pops !! So sad that International popcorn lovers day is over, now we have to wait yet another year for it to come round again, so I will have to console myself with... popcorn lol. Yet another fun design Lisa! The sentiment is perfect with the popcorn. Super fun popcorn card! I just love the stamp set; tfs! Cute sentiment and card design. 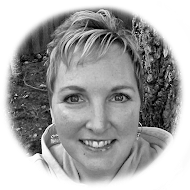 Lots of fun Lisa. :-) Hugs! OMG, too cute and clever! You're brilliant! What a fun "pun" card; gave me the giggles. Cute card. I like the extra way to use part of the Treat Box. Fun! 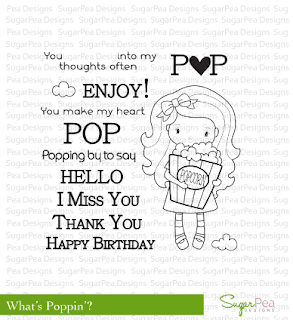 What a fun creative card with the popcorn... love it!! Have to remember that one. This is so adorable!! 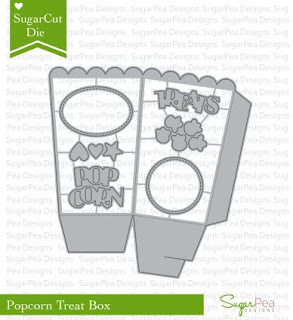 I love that you added the "popcorn" diecut upside down; I probably wouldn't have thought of that! Awesome card! Love the box of spilling popcorn! I love the bold color of this card. This would be a great card to pair up with a movie theme basket. So cute! Love the way it's pouring out the top! Really awesome to put it up in the corner to pour out. And the dimension of the letters is perfect inspiration for dies. Such a cute CAS. Love the movement created on this fun card.